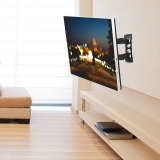 This Fleximounts A02 super low profile TV wall mount offers an attractive way to display TV while providing the most flexible viewing options. The arm can be easily adjusted, allowing you to enjoy in a more comfortable, ergonomically correct position. 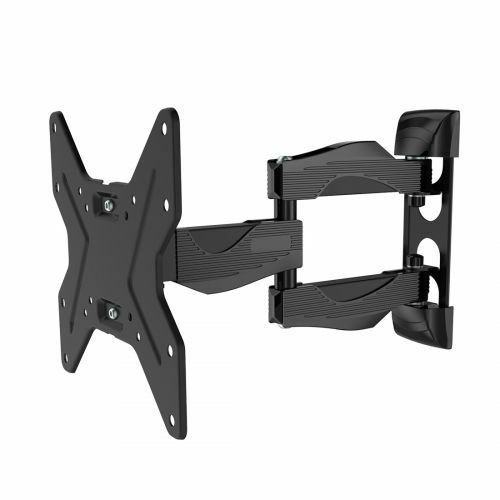 This TV wall mount can hold a flat screen TV between 26 and 42 inches with a max 200x200 VESA compatibility and 55lbs max loading capacity. 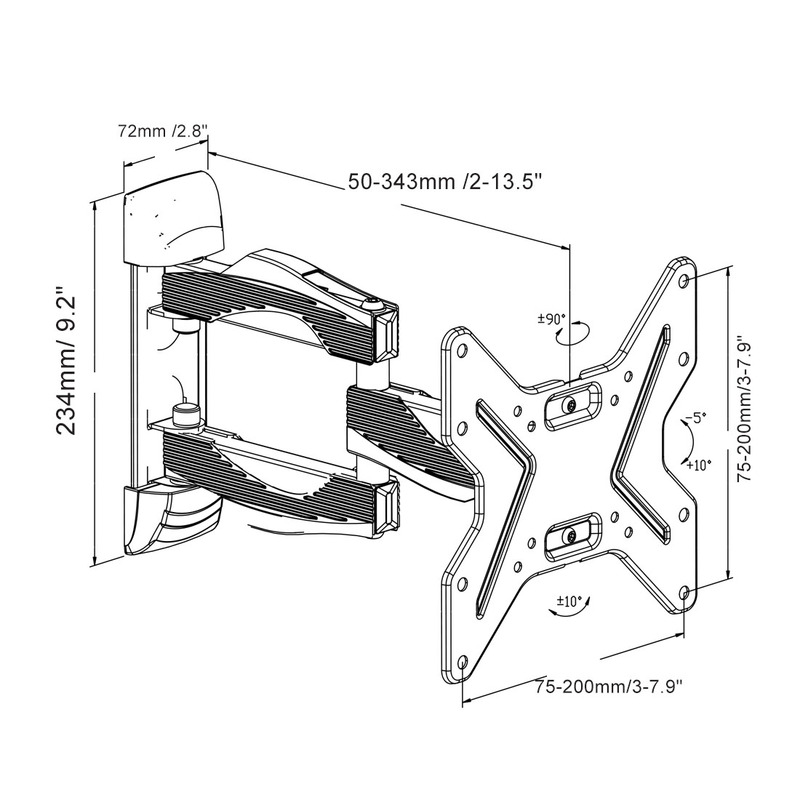 This is a universal mount, fitting most TVs such as Samsung, LG, Vizio, TCL, Sharp, Sony, etc. 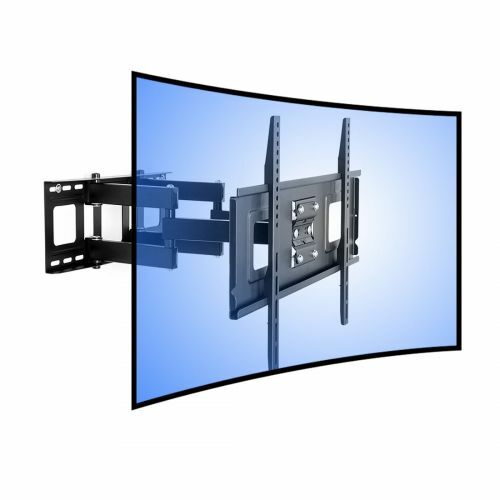 Constructed with 3 articulating arms: Well-designed three arm structure keeps TV steady. 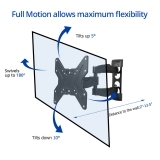 Full motion allows maximum flexibility: Extend your TV between 2” and 13.5” from the wall. 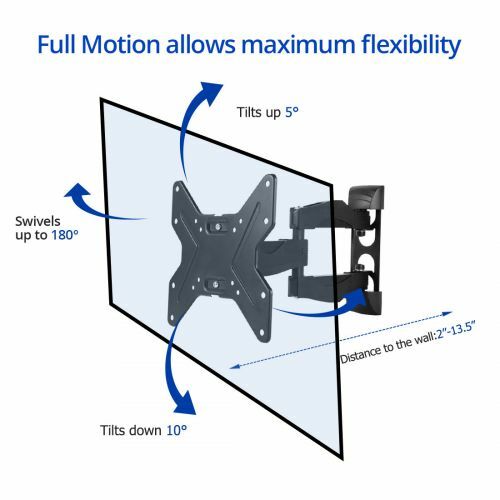 Tilt angle adjustable -5°to +10°: Adjust the angle in every direction for easy viewing from any seat in a room. Extended articulating system: Wide-angle swivel between -90°to +90 for a variety or viewing needs. 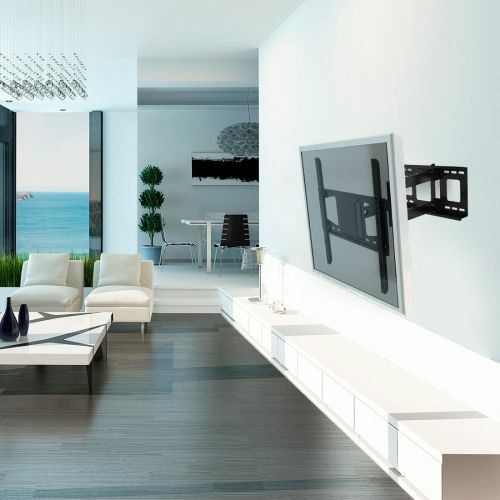 The TV set can be manipulated in several positions to accommodate normal TV shows, video gaming, fitness programs, video chats and more. 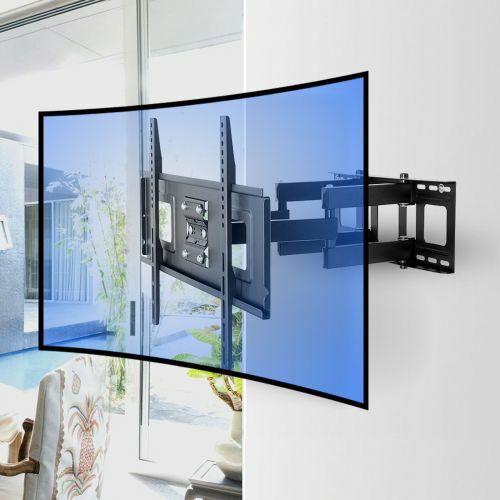 Cable management system: Cables that would otherwise go astray can be easily concealed, making the whole TV set clean and tidy. 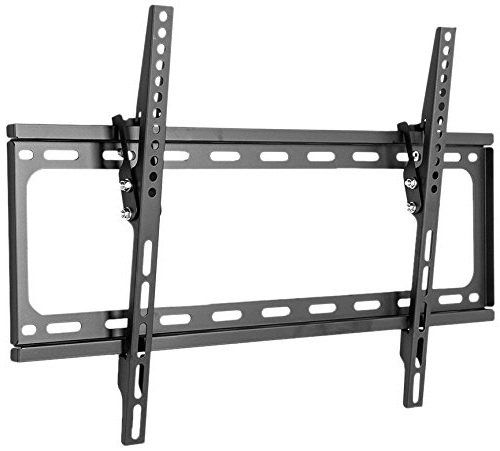 Hung a 42″ TV on it. 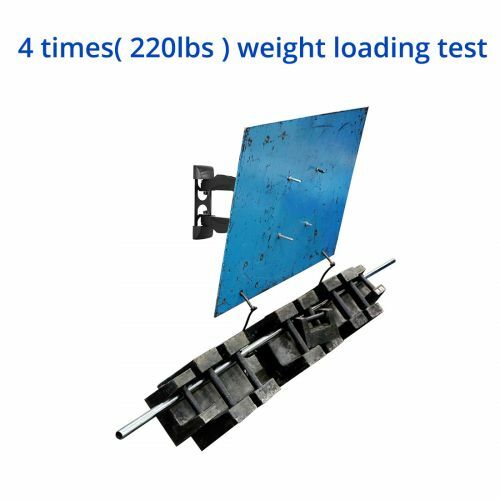 It is solid and works like a charm. 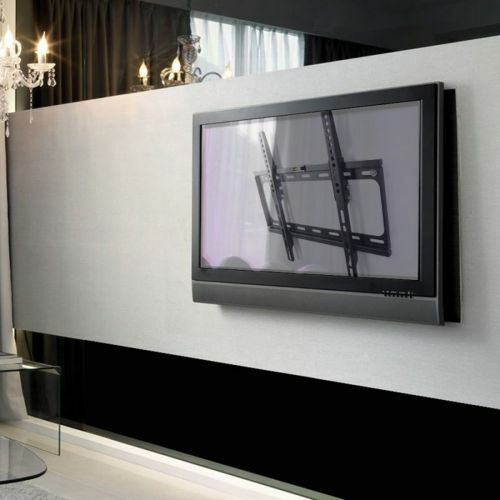 We have been very pleased with it and know it would have handled a heavier TV. 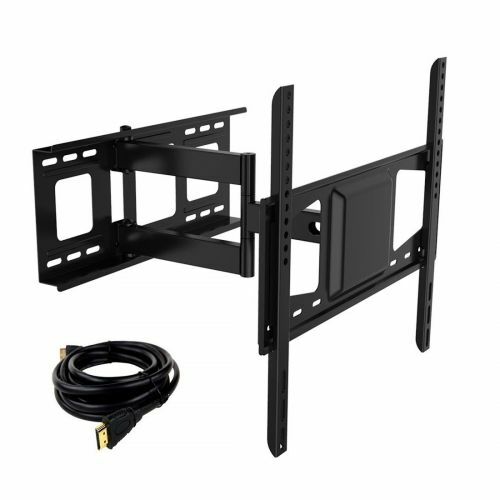 The TV we mounted was a 48″ LED TV and it was only about 30 pounds. At least I know it isn’t going to fall off the wall! 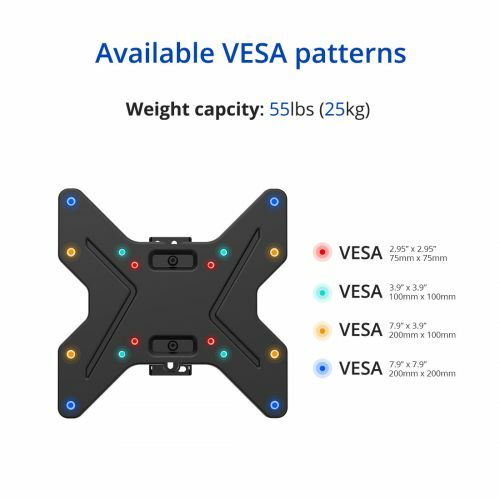 It was not difficult to mount. 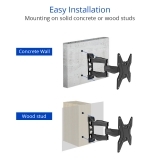 I was able to locate and mount it into two wall studs 16″ apart. The level that comes with it is pretty much worthless. I recommend using your own level if you want it nice and straight. Other than that, the instructions were good and mounting was no problem. 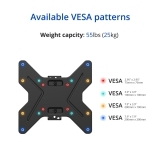 It also comes with all the screws and parts you need to fit most any TV. 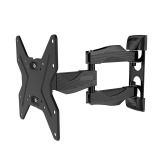 I would definitely purchase this same mount again.